The customer was straight to the point. Was it possible, they asked, to wrap or cover a fridge in much the same way as you might do a vehicle? No hesitation on the part of Rob Lamerton and the team at Vinyl Signs in Whitby. Yes, we can wrap or cover pretty much anything and a fridge isn’t going to put up much of a fight. Then comes the question of what to wrap the offending fridge with. Digital, print? A pattern? A Design? All are possible. But how about a colour? How about this, particular orange? Sometimes luck is batting with you. Rob Lamerton’s customer had gone to great lengths to find, and then to centre the theme of the kitchen in question around a particularly pleasing shade of orange. It was repeated in places around the room and it was chosen from among thousands of shades of itself and other colours available. Such is the way modern tastes in colour dictate things. Thankfully, there’s more than a little science and research behind the way Metamark chooses the colours it includes in its vinyl ranges. The colours that occur in the wild these days seem to uncannily fit with colours found in the Metamark Materials Swatch. That’s because the colours are a reflection of modern tastes and contemporary specification. There, in the most unlikely of places to find a colour for a domestic appliance colour, was the orange. The orange that Vinyl Signs Whitby’s customer wanted. Most reports of this type detail the material the sign producer chose to do the job in question. On this occasion, the material almost chose itself. It was Metamark MM-CC in just the right shade of orange. 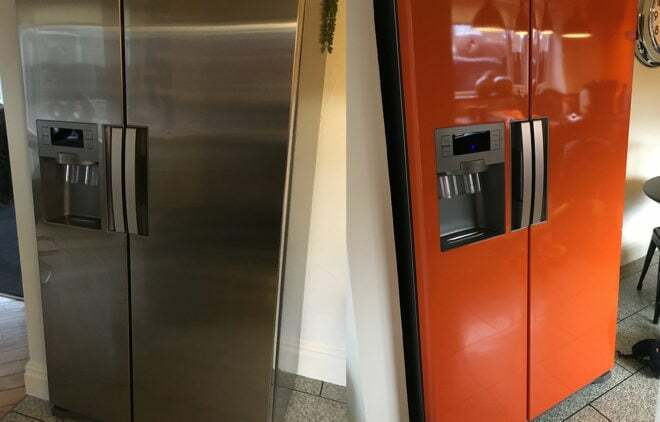 MM-CC is a cylinder cast material expressly for colour-change wrapping and in the hands of the team from Vinyl Signs Whitby, it was skilfully and flawlessly applied to the fridge. The result is one that raises a smile from the customer. It’s exactly what was wanted. It’s more than that though. Under the protective covering of MM-CC is a pristine appliance that will stay that way. The colourful wrap will resist chipping, it’s easy to clean and it clearly demonstrates the potency of wrapping objects other than vehicles. It also demonstrates how Vinyl Signs Whitby finds a profitable channel for its talents. 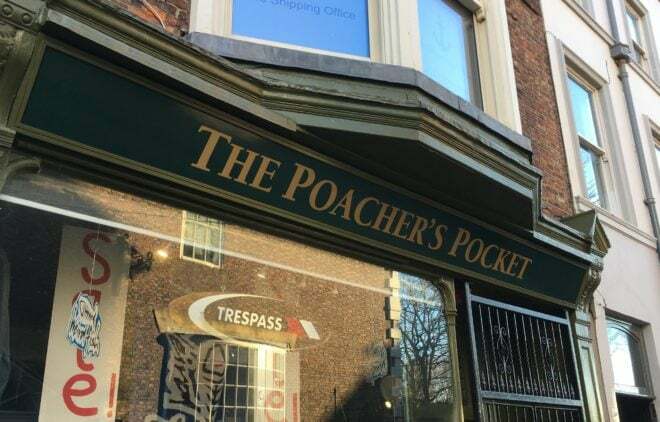 The Poachers Pocket is a very traditional country outfitters located in an area of Whitby that reflects its traditional roots. Its windows are full of the wares associated with country pursuits and it’s very much a part of the landscape, having traded in the town for years. The sign above its doors was originally rendered in paint on glass – a medium that tells of the shop’s vintage. Time had begun to make its effects known on the sign though and so Vinyl Signs Whitby was called in to consider remedial measures. Replacement of the sign, it was agreed, was the best course of action but like-for-like would have been both prohibitively costly and disruptive. Removing a well aged glass fascia is, in addition, an invitation to discover the horrors behind it and, with the fabric of the sign being essentially sound and weatherproof, it was decided to leave it, and its peeling coats of paint in situ. Rob Lamerton and the team at Vinyl Signs Whitby decided to fabricate a cover for the visible elements of the glass fascia from an affordable modern and weather resistant material and to mount upon it the replacement lettering and background reflecting the original character of the retiring sign. The team set about matching the colours needed for the new sign. The Metamark colour palette was loaded into Vinyl Signs Whitby’s design software and something amounting to a perfect match for the weathered green background of the original sign and its aged lettering was selected. The resulting data was then printed on Metamark MD5. MD5 and the notion of closely matched colours are no stranger to each other and neither is the attention to detail needed to carry off such a transformation unknown to Vinyl Signs Whitby. The panel was installed, complete with its MD5 print. The result isn’t going to turn any heads and that’s what makes this gem of a sign all the more remarkable. It’s been there for years – nothing appears to have changed. What a glance doesn’t tell though is that, beneath the convincing fascia graphic, is an aged glass fascia, complete with painted sign elements. It’s out of sight, not going to get broken and not likely to weather any further. As signs go, this example is nothing more than a familiar fascia, and nothing less than perfect. Thanks to a wonderful fascia sign by Vinyl Signs Whitby, Rhoobarb and Co has a presence among Whitby’s businesses that’s hard to ignore. It radiates class and quality. It’s a perfect fit within the town’s tightly regulated planning policy. And Rob Lamerton’s customer is, understandably, delighted with it. Rhoobarb and Co began its career under a different banner as a home-based business offering its clientele a range of beauty treatments and products. It grew rapidly and to the point where home no longer seemed an appropriate place to operate it. So the decision was made to take it, and the products and services it offered to the high street. The company’s founder wanted an eye-catching and memorable name for the business and “Rhoobarb” certainly ticks that box. Interior design came under the microscope too and the decision was made to “do things properly” so a designer was consulted. Among the designer’s output was a proposed trading style to inspire the creation of a sign. Rhoobarb’s founder had very definite views on the subject of the signs too. Given the new location of the business Rhoobarb wanted a sign inspired by the construction of the one used on the business next door – an establishment trading under the name of The Moon and Balloon. All roads from there led back to Rob Lamerton and the team at Vinyl Signs Whitby who made the it. Rob’s prescription for Rhoobarb is brilliant in its simplicity and yet the effect it achieves is dazzling. The Rhoobarb and Co sign comprises flat-cut letters mounted to the fascia on stand offs. The acrylic is a dull gold in colour. Rob edged the mounted letters with a thick outline made from Metamark Gold Polish, a cut and applied self adhesive material with a mirror-like durable gold finish. The type used supports the provision of an outline and helps it maintain a consistent thickness throughout. The effect achieved in this simple construction is stunning. The sign looks a million dollars but cost Rhoobarb and Co a lot less. Rob Lamerton served time learning his trade with brush in hand. That eye for layout and proportion has a role among today’s production hardware and modern materials. With results like those achieved for Rhoobarb and Co in Vinyl Signs Whitby’s portfolio, the company’s talents are certain to be much in demand. 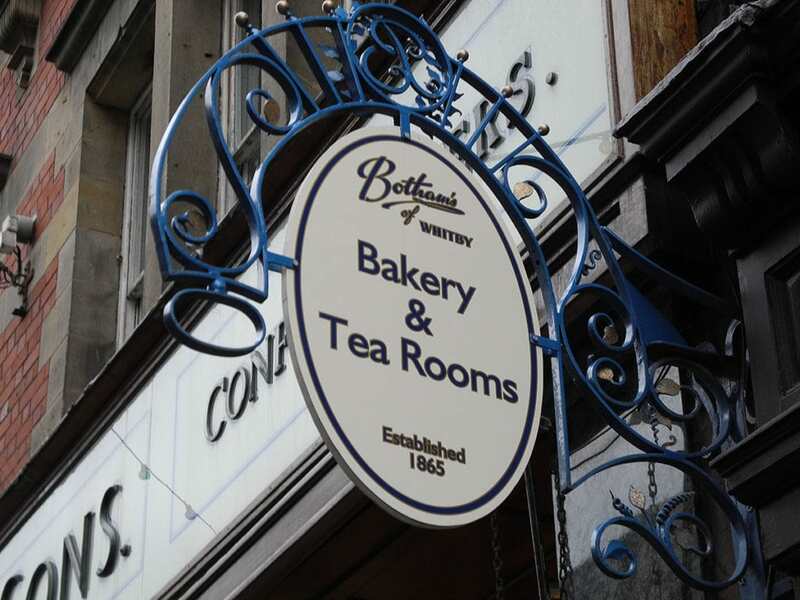 The charm of old, narrow streets and the bulk of modern heavy goods vehicles don’t make the best of partnerships as an ornately bracketed sign above long established bakers, Bothams of Whitby was to discover. There’s been a Bothams in the ancient port town since 1865 arguing that it has a longer-standing claim on its space than articulated trucks do. A projecting sign identifying Bothams was recently introduced to a bit of close-quarters contact with a truck and came off second in the encounter. The sign, a beautiful hand-painted piece framed with an ornate projecting hanging bracket was created and fitted by well-known local sign artist Robert Lamerton. The blacksmith crafted bracket work was easily straightened but the sign panel itself, was beyond economic repair. Enter Vinyl Signs of Whitby and its managing Director Robert Lamerton, the same Robert Lamerton who’s painted the original. Robert prescribed a replacement panel in more modern, resistant materials and proved that a trained eye for lettering and layout in tandem with today’s hardware and materials can produce a spot-on result. 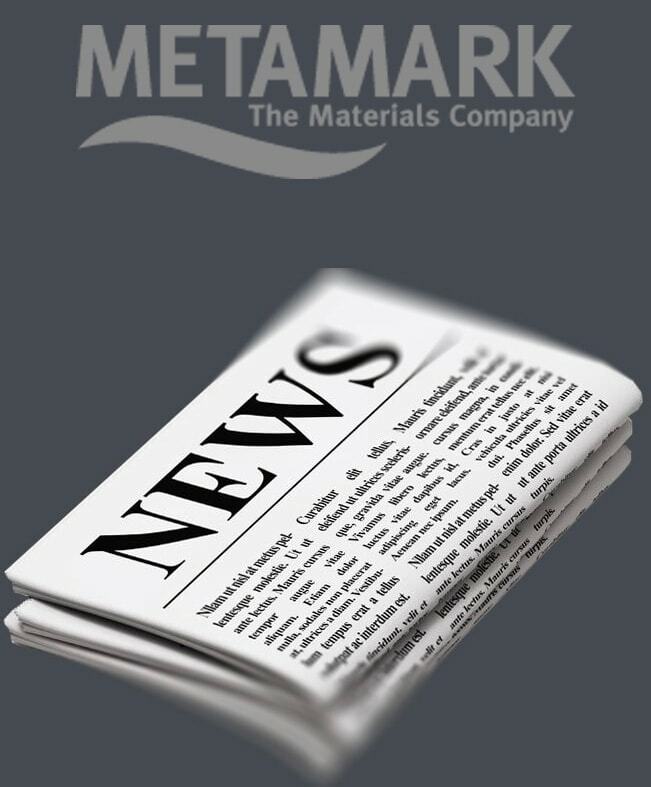 Metamark M7 cut and applied materials now do the job once reserved for brush applied paint. The detail is cut from several Metamark M7 colours and skilfully laid up against the M7 background. Bothams now has its sign back and looking its traditional best. The sign also enjoys the benefits of its being made from modern, maintenance free materials by a hands-on craftsman. Robert’s company, Vinyl Signs of Whitby undertakes the design and production off all forms of signing and vehicle graphics and is well known to businesses in the locality.